Product prices and availability are accurate as of 2019-04-18 15:05:44 UTC and are subject to change. Any price and availability information displayed on http://www.amazon.com/ at the time of purchase will apply to the purchase of this product. What is this madness all about? 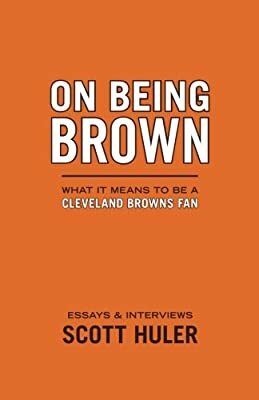 Anyone who has experienced it knows: being a Cleveland Browns fan is just different. Why are we the only fans in the nation who ever demanded their team back?and got it? Why did three seasons without football fail even to dampen the enthusiasm? Why have we endured years of heartache (The Fumble, The Drive, “Red Right 88” . . .) yet grown ever more attached to the experience? These 33 essays hold the answer. 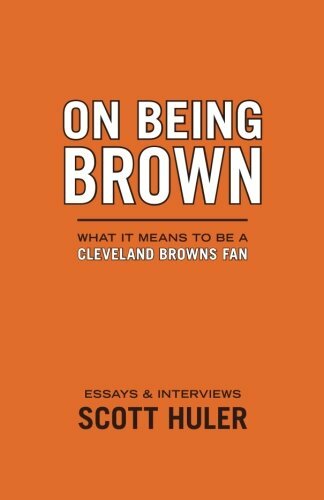 Scott Huler’s nostalgic memoirs, and his interviews with Browns legends and other fans, uncover those essential, special elements of shared experience that define what being a Browns fan has meant for us all. It’s about pride. It’s about desire, tempered by crushing disappointment. It’s about tradition, and learning how to root for the home team at your father’s side. It’s about rivalry and electrifying victory. It’s about longing?for a return to past championships, for future glory. It’s about heart. It’s about all that, and much more. This odyssey takes Browns fans back to some wonderful places. It revives some truly heartbreaking moments. And it looks to the future with great hope. If you’re Brown, you’ll enjoy the ride.